Amazon is having more specials, apart from the Lenovo U330, they have another special that is running throughout the day today only (Thanksgiving day). It is the HP EX470 MediaSmart Home Server for $400 and with free shipping and handling! 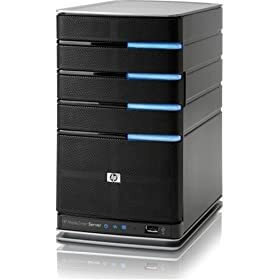 It is running an AMD 1.8 GHz, 64-bit Sempron processor, and Windows Home Server software, and has a 500gb disk (7200rpm), with features like automated backup on your network, audio and video streaming, eSATA port, and a whole lot more. Check the Amazon product page for more details, along with 109 customer reviews! A trio of Dell XPS system coupons!